Denver, CO. have joined the USSSA W.I.N. Program. 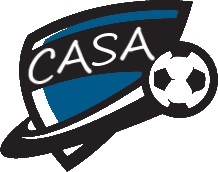 We are excited to announce that Colorado Amateur Soccer Association (CASA) will join USSSA W.I.N. in the fall. Over 400 players will join the program in the Denver Metro Area. Sign up to receive updates and information in your inbox.